School Governors - Whitefield School - Live, Learn, Aspire, Achive. At Whitefield school, we are proud to have a team of Governors made up of individuals with a variety of skills and experience, who all have a desire to make a difference to the lives of children, young people and the local community. Our role is to support the Headteacher and Senior Leadership team in improving the school, set the vision and strategic direction of the school and ensure the school is financially healthy. The Governing body has six meetings per academic year. There are also 2 sub-committees: the Standards and Staffing Committee and the Finance and Facilities Committee, which also meet four times a year. Skill sets: Teaching, leadership, school improvement, data analysis, planning, events organisation, counselling. Elizabeth started working with Whitefield School as a School Improvement Consultant in 2009. She was part of the team of consultants who went into struggling schools all across London and the south or England as part of the National Challenge Programme, a programme designed to raise standards in the country’s worst performing schools. She was then invited to join the staff at Whitefield School as the Associate Headteacher in 2011 and then appointed to the role of Headteacher in January 2015. Prior to her work with The National Challenge, Elizabeth worked as a the Assessment Consultant for Greenwich Local Education Authority and as an Associate Headteacher and Deputy Headteacher in schools across Essex. Elizabeth started her teaching career in 1986 as a newly qualified PE teacher, and then went on to lead the PE Department, then the Creative Arts Team and then became the Deputy Headteacher in Gable Hall School in Thurrock, and was integral to this school obtaining three ‘Outstanding’ Ofsted inspections over a period of 19 years. Elizabeth also has a passion for all aspects of the Arts and has worked part time in professional theatres since 1977, both front of house and behind the scenes, operating sound and lighting equipment and running productions in theatres all across the UK. Summary: Jan has worked in the National Health Service and in Higher Education for over 30 years. An intensive care nurse by background, she is currently a Pro Vice-Chancellor and Dean of the School of Health and Education at Middlesex University. Jan is a member of Health Education North Central East London Local Education Training Board that has responsibility for ensuring high quality education and training is provided to all health professionals across the area. Relevant business interests: Head of Research in Psychology, University of Hertfordshire. Summary: Mike has worked as a scientist since receiving his PhD in 1993, first at the Medical Research Council Cognition and Brain Sciences Unit in Cambridge and, since 2000, as Reader in Cognitive Psychology at the University of Hertfordshire. He studies human short-term memory and its relationship with language. His first degree was in Engineering Science and he is also Director of the Cube Project, through which he designs environmentally friendly microhouses. Summary: Reema has worked for various organisations such as Barclays and the National Audit Office, in Corporate Affairs roles. Reema currently tutors French and has recently set up a business called Surf Spain, which organises school trips/language holidays to Spain, teaching Spanish and water sports. Summary: Jules has worked for the retailer John Lewis for 17 years as a Manager in various departments, both front of house and behind. Currently as a Regional Learning Facilitator supports Partners within 5 branches with their development, which will alow them to grow, feel and play an important role in the success of their Business. She also spent 8 years in Portugal as a Teaching Assistant in an International school. Jules also avidly competetes around the Country in the Strongwomen competitions too! 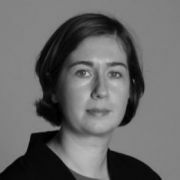 Summary: Catherine has worked in planning and governance roles at a number of Universities and is currently the Director of Corporate Planning and Performance at the University of Westminster. Agnes has been a local Cllr for 33 years, was Deputy Mayor and then elected Mayor in 1997/98. She served on the Education Committee including safe guarding and served on the Adoption Panel for many years. Agnes is currently on the Advisory Panel for safeguarding children and on Planning, Environment, Communities Leadership committees and SACRE (Standing Conference of Religious Education). As well as being a member of St John the Evangelist Parochial Church Council she also an Eucharistic Minister. Agnes also founded BACA (Barnet African Caribbean Association) day centre which still currently operates at the BMCC (Barnet Multicultural Community Centre). Leena has worked in childcare and early years education for over twenty years both in the UK and in Europe. She currently works at Dollis Infant School as part of the Early Year Foundation Stage. As well as being a mentor for other staff members she is involved in training, supporting and supervising students who are studying towards a qualification in child care. Amongst these roles, she is also the MGB union representative and continually supports members of the union within the school. Being committed to education at all levels, she volunteers to help adults at a local college who are learning English as part of an ESOL education. Since September 2015 Leena has been an active member of the Whitefield Parent Teacher Association and has helped organise and run various events within the school. Summary: Simon has worked in higher and secondary education, as well as various other sectors, over a 30 year career. A chartered accountant by background, Simon’s first degree was in science. Simon also has accounting qualifications, CIPD membership and an MBA (Henley Business School). With a keen interest in theatre, I studied Drama, Applied theatre and education at the Royal Central School of Speech and Drama before then going onto complete my PGCE at the University of East London. I started my employment at Whitefield at the end June 2018 as a Drama Teacher. Being a Scouter since I was 6, I have spent the last two years sitting on and advising numerous boards for the UK Scout Association, the largest mixed youth organisation in the UK. Through this volunteer post I've made direct impact on policies surrounding programs of work, safeguarding (of which the Scout Association is seen as among the top in the charity sector) and been a voice for nearly 500,000 young people from across the UK. "I strongly believe that every young person must have the opportunity to succeed and I see this opportunity to become Staff governor as a chance to bring my passion and energy directly into the heart of the school." 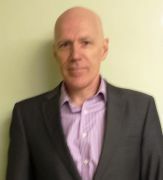 Lee Jerome is Associate Professor in Education at Middlesex University and has worked in education for over 25 years as a teacher, teacher educator, lecturer and researcher. His main areas of interest are citizenship education and teacher education. In citizenship education he helped to establish the Association for Citizenship Teaching and edits the journal 'Teaching Citizenship'. In teacher education he has co-written 'Effective Medium-Term Planning for Teachers' and coordinates the Professional Education and Partnerships research group at Middlesex University.